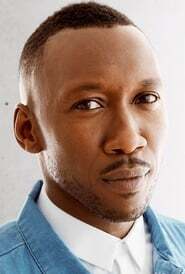 Mahershalalhashbaz "Mahershala" Ali (born Mahershalalhashbaz Gilmore; February 16, 1974) is an American actor. Ali began his career as a regular on series such as Crossing Jordan and Threat Matrix before his breakthrough role as Richard Tyler in the science-fiction series The 4400. His first major film release was in the 2008 David Fincher-directed romantic fantasy drama film The Curious Case of Benjamin Button. His other notable films include Predators and The Place Beyond the Pines. He played a major role in Free State of Jones, set during and after the American Civil War. Ali is best known for his recent roles as Remy Danton in House of Cards, Cornell "Cottonmouth" Stokes in Netflix's TV series Luke Cage, Juan in Moonlight, and Boggs in The Hunger Games: Mockingjay – Part 1 and its sequel, The Hunger Games: Mockingjay – Part 2.